As a blogger who works full time, things can get a little crazy when it comes to planning, scheduling my content. 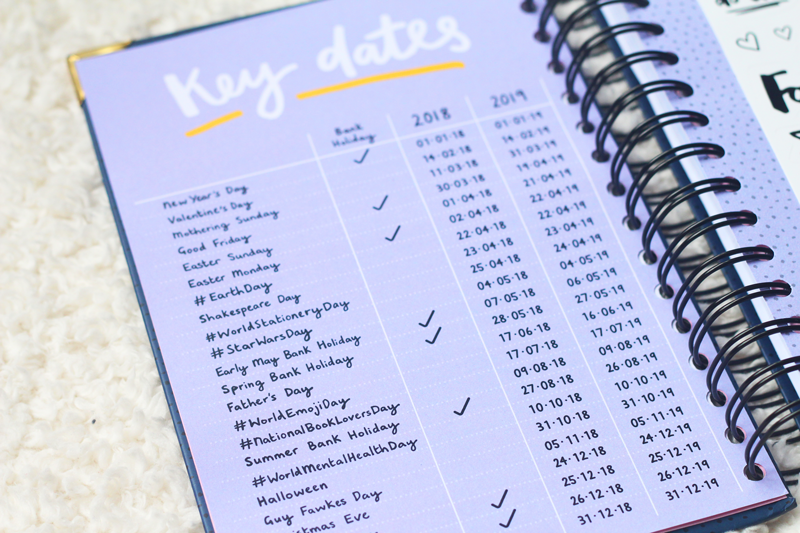 I’m sure lots of you who also have blogs will agree that a lot of work comes with it, from admin, to photography, keeping track of when each post needs to go up and generally keeping things under your control. Its all great fun though, so its all good! Sometimes though, you need that extra bit of help to help get your life organised. That is where Dot Creates comes in! 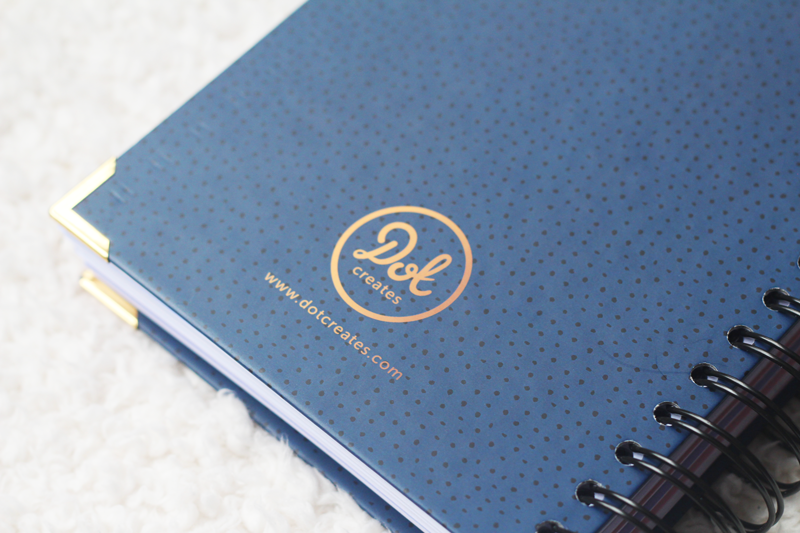 The lovely Danielle, the girl behind the business has created the best blog planner ever. 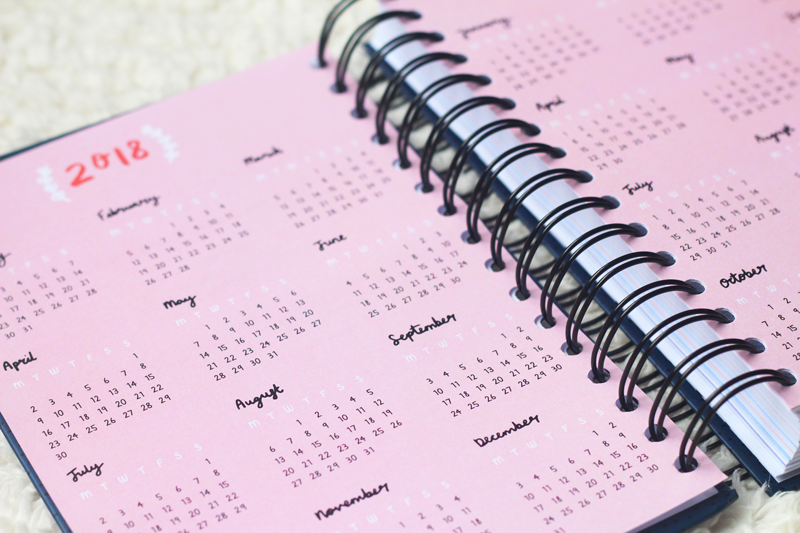 Launching last month, the premium blog planner retails at £28 and will probably change the way you blog! A bold claim I know, but I really did need a tool like this in my life. Along with some other lovely bloggers, I helped review the designs of the planners. 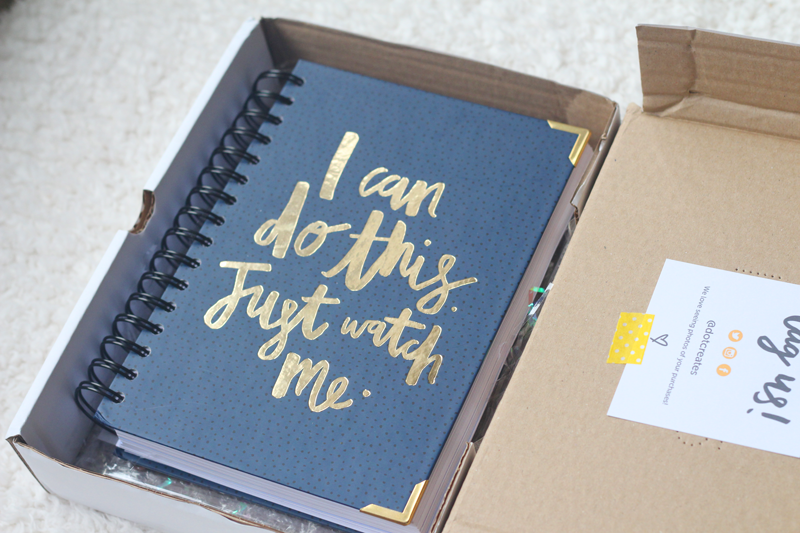 Getting customers involved is the perfect way to make sure the planner has everything us bloggers could need. The ‘I Can Do This’ planner has so many perks. Firstly, I love that it isn’t dated. This means you could start it anytime you liked! Simply fill in the month you are writing for and off you go. It feels a lot less restricting, so I don’t find that I am worrying about wasting pages if I happened not to use it one week. The parcel was so exciting to recieve too. If I’m being honest, I’m excited when any parcel arrives. Who wouldn’t want a present delivered? Why is getting a parcel so very exciting?! But this planner felt like a paticularly special one. I love the quote stamped onto the box. I definitely do have too much stationary, but that doesn’t stop me buying more. Confession: I may have a notebook addiction. As you can see, the planner has all the key dates in there for you. This isn’t just helpful for planning your personal life, but also when it comes to planning blog content. If you got stuck for post ideas, you could just have a browse to see what seasonal days are coming up and you’re sorted! Same with running social media – it even has hastags included. 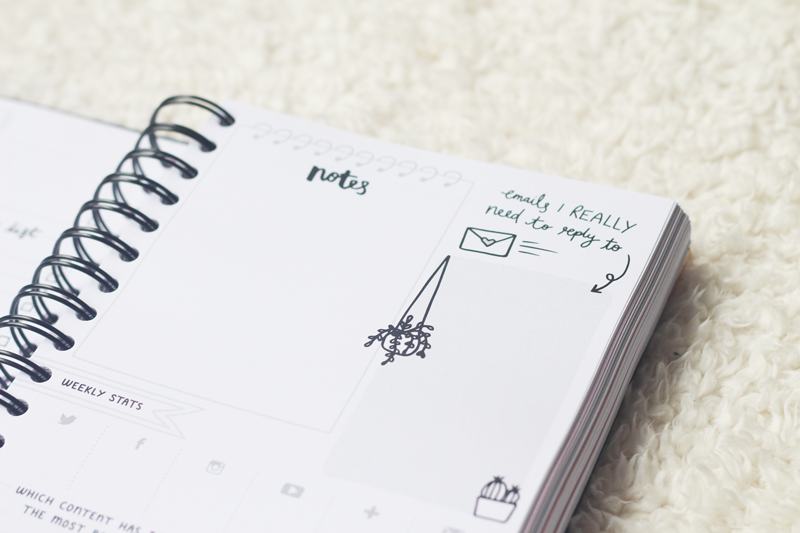 It is all the little touches that make this planner so helpful. 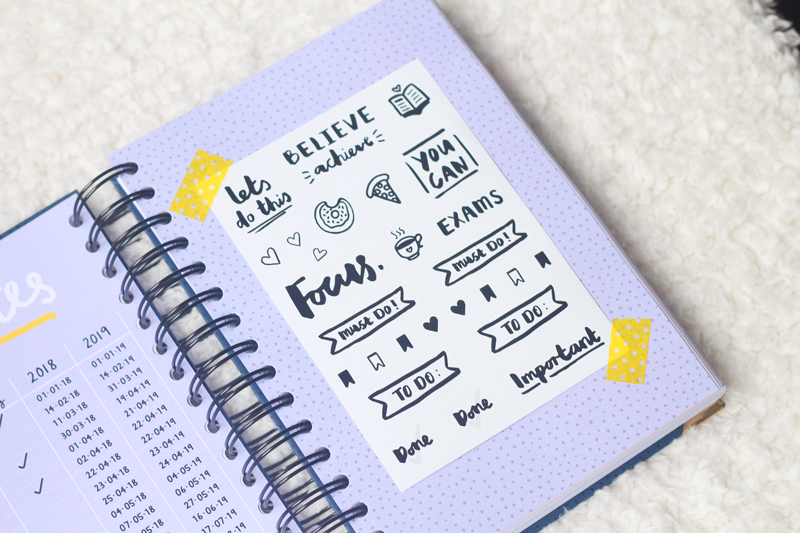 The sticker page at the front is lovely, as you could use them wherever you liked in the planner. On each weekly page, you have some boxes to list your top priorities, a week overview, a to-do list, notes section, emails to reply to and social stats! As a blogger, I can’t explain how helpful it is to have everything in one place. I also write a bullet journal, but I try to keep blogging details seperate. As my blog has grown and I have got busier, the amount that needs to be done each week is growing! 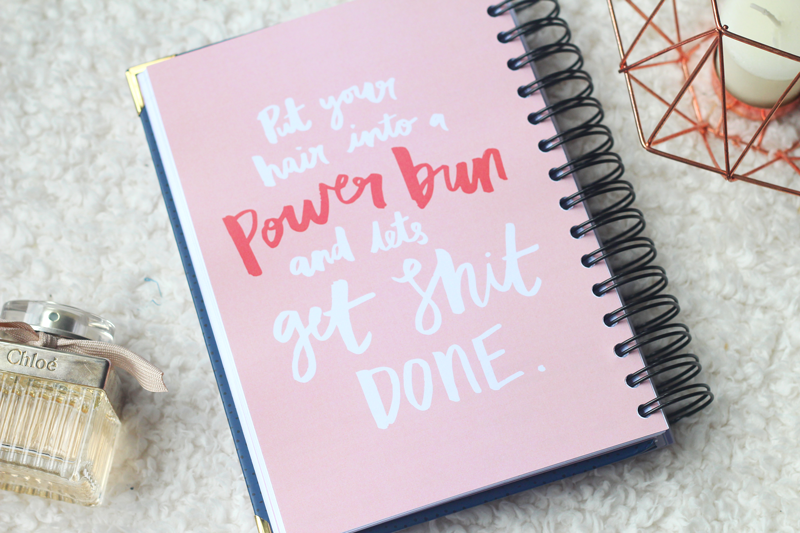 This planner has got me covered. Phew! I know this has been quite a photo-heavy post, but I really wanted to share lots of details about the planner with you. I know I love to have a good nose around before I make a purchase. Buying from a small, upcoming stationary shop feels lovely, as you know you are helping grow an independent brand. 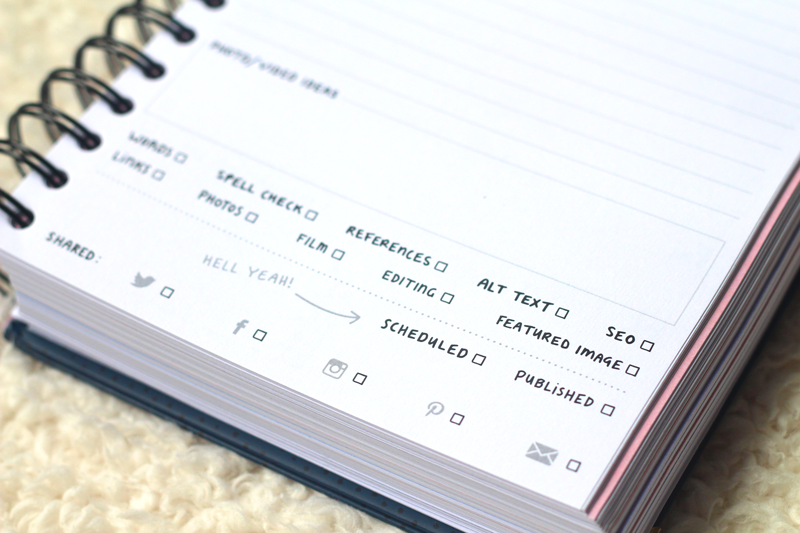 For any bloggers out there, I highly recommend this planner as you can keep everything in one place. It feels very Instagram-worthy too! Each time you see the cover, you’ll be reminded that you can do this, which is a very nice reminder indeed.